Wednesday, August 15th, was a national holiday in Belgium. Because I am also off on Tuesdays, I invited Barbara and Sofie (2 of my sister-in-laws) to come to Antwerp and visit museums and also Rubensmarkt, a special market in the Grote Markt that always takes place on the 15th of August, where the vendors are all dressed in 17th century clothes. 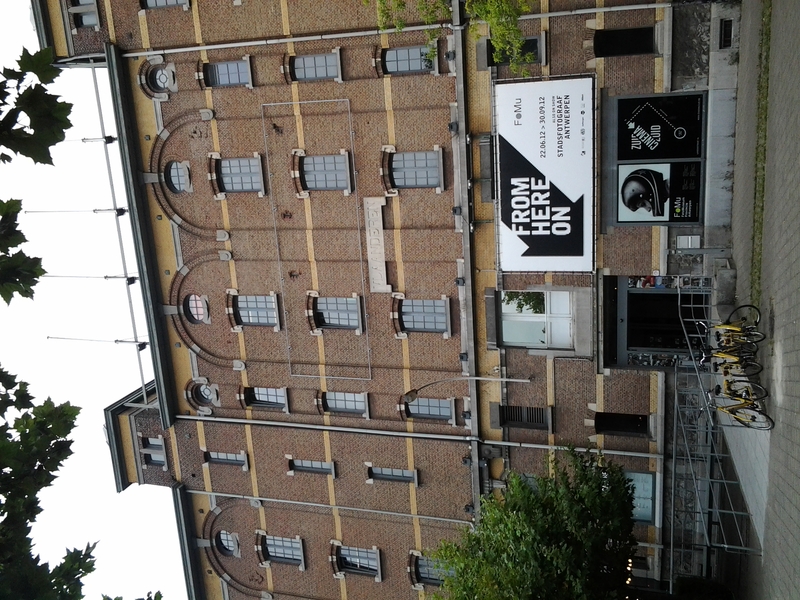 During the 2 days, we visited the Fotomuseum (FoMu), Sofie’s choice, and the Museum aan de stroom (MAS, featured in this post: Part II), Barbara’s choice. We also had time to visit a couple of cafés and make a delicious dinner! Museum Plantin-Moretus/Prentenkabinet is such a beautiful museum! 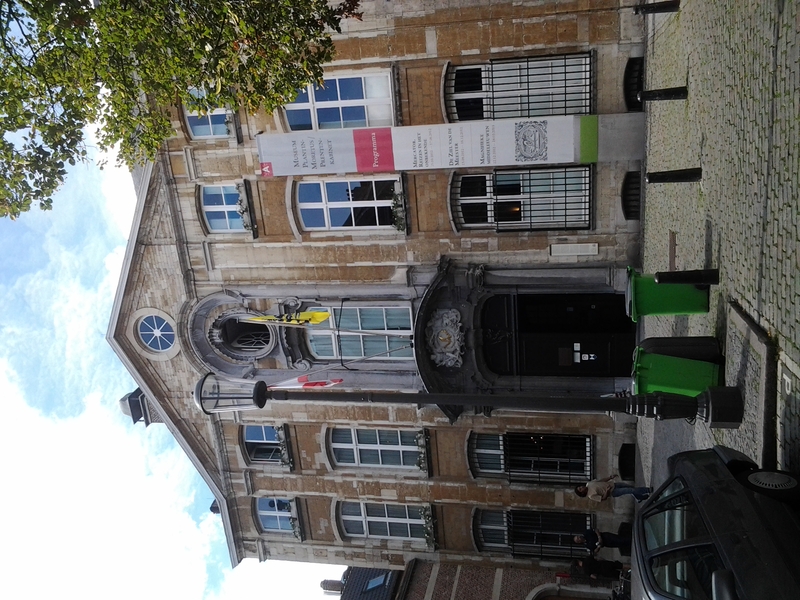 It’s a bit like Rubenshuis, in that you are able to see where the Plantins and Moretus lived, but also on a much bigger scale because you’re able to also see where they worked (proofreading, printing, selling) and their UNESCO world heritage collection of prints and books. There are so many ways to serve tomatoes, with so many varieties and means of preparation. With such a versatile vegetable, Koen and I are able to incorporate tomatoes in some form into our meals at least a few times a week. This week especially I’ve been enjoying them with the warm weather. Last Sunday we celebrated Els’ birthday in Antwerp. We started out with drinks at the winebar Baravin, followed by Italian at La Tarantella. Summer is here (mid-70s) in Belgium, so now is the perfect time for salads! Saturday night was Museumnacht, or Museum Night in Antwerp. All of the museums were open from 7pm until 1am. To attract visitors, each museum had a special event or party. At the Mode Museum (MoMu, Fashion Museum), there was a Bal Costumé sponsored by Ra 13, Diesel Black Gold, and MoMu. 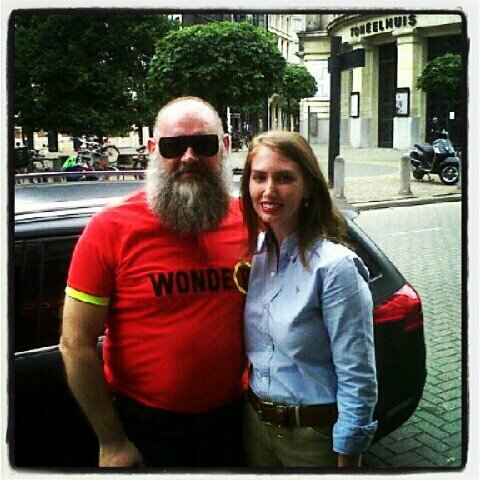 Last week I met Walter Van Beirendonck! Van Beirendonck is one of the Antwerp Six, the group of designers that in 1986 traveled to London together to present their collections, establishing Antwerp as a notable fashion city. While I was at UGA I researched him for a paper about the Antwerp fashion. It was really exciting to spot him in the city!